Understanding how your tires work is a critical component of safely owning and operating an ATV. 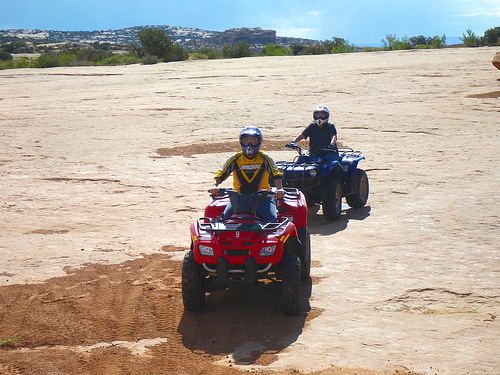 It’s no secret that off-roading with an ATV can be dangerous. ATVSafety reports there were more than 300 reported ATV-related deaths and more than 107,000 ATV-related injuries that required a trip to the emergency room in 2011. 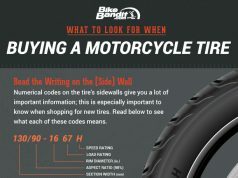 The more you know about the machine you are riding the safer you’ll be, and one of the most important parts of your ATV to understand is it’s tires. Here’s a brief explanation of what you need to know to better understand your ATV’s tires. When you take a look at an ATV tire, there are a series of numbers on the side. 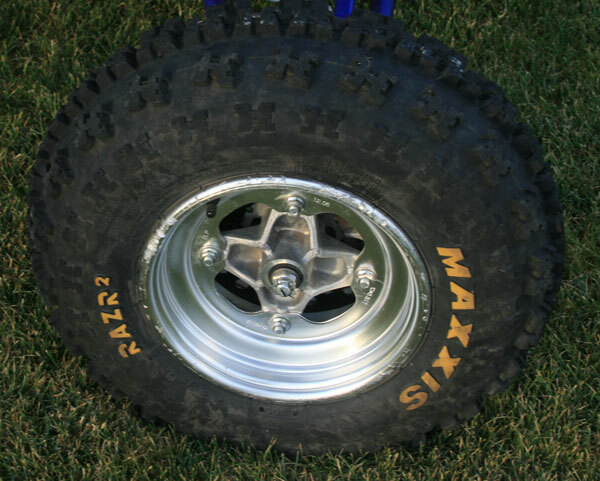 For example, a standard size might be 25×10-12 for back tires. The first number in this sequence is the height of the tire in inches when it is properly mounted and inflated to the manufacturer’s suggested air pressure. The second number is the width of the tire when it is properly inflated. The third number is the diameter of the inside of the tire in inches as well as a measurement of the diameter of a wheel the tire is meant to be mounted to. This differs from standard truck tires that have a sizing and rating system like LT195/75R14/8 that indicates the load rating and suggested usage in addition to size. 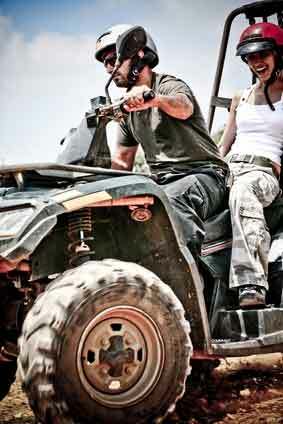 Make sure that your machine is equipped with proper ATV tires before riding. A new motorsport enthusiast might assume it is the tire’s rubber or steel rims that support the weight, but it is entirely air pressure that makes the ride possible. It is the internal air pressure that carries the weight of the ATV and its rider, and more air volume theoretically means a tire can support more weight. First, check the owner’s manual for your ATV and see what the correct inflation pressure is for your tires. Tire pressure is measured in the United States using a rating called PSI, which stands for pounds per square inch. Tire gauges give an accurate measure of a tire’s pressure in PSI, but you should only check tire pressure when the tire is cold or not recently used. The Green Action Centre suggests that you check the pressure when your vehicle hasn’t been operated for at least three hours and the tires are cold because driving just under a mile will increase the pressure reading. ATV tires come in a variety of suggested PSI ratings based on the nature of the tire’s intended use. You should never exceed the manufacturer’s intended pressure recommendation, but some off-roaders do claim that having the pressure just below the suggested pressure lets the tire better grip rocky or uneven surfaces and feels like a softer ride. An ATV loaded down with camping gear or a second rider should use a higher PSI tire than one that is headed out on a hard-packed speed trail, since that higher PSI means better load-bearing capabilities. Finding the tire that is not only right for your ATV’s wheels but right for the intended use of your ATV is the one of the most important things you can do to insure your safety and enjoyment when riding an ATV.